Dandelions have made their return to Southeast New Brunswick a little later than usual thanks to a cold spring. The yellow plants or weeds were spotted today when the temperature climbed to 24.5 C in Greater Moncton – the warmest high so far this year. The hotspot in New Brunswick was St. Stephen at 29 C and Fredericton was not far behind at 28 C.
But a cold front is pushing through the province which will bring rain and dramatically lower temperatures overnight with single digit highs expected tomorrow. Greater Moncton reached a daytime high of 29.8 C today which is the warmest temperature so far in 2016. Environment Canada reports at least nine other communities in New Brunswick reached 30 C or higher. The hotspot was Bathurst at a sizzling 33.3 C.
The warm, windy conditions were not helpful for firefighters near Bouctouche battling a forest fire which was eventually brought under control. Beautiful First Weekend of Summer! 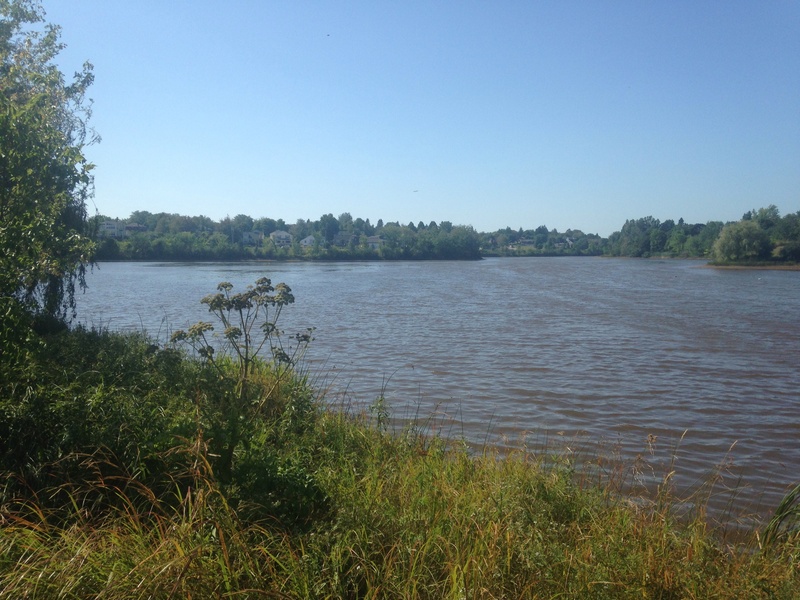 The summer season has gotten off to a great start in Southeast New Brunswick with a fabulous first weekend filled with sunshine and warm temperatures. Greater Moncton climbed to 27.5 C on Saturday and even warmer today at 29.0 C – just shy of the warmest 2016 high of 29.5 C from 31 May. Kouchibouguac was the hotspot in the province at 33.2 C.
Even with this round of warm weather, June overall is still running about 1 C below normal compared to the 30-year average with only a few days left to go. An unstable air mass brought excessive heat to Manitoba yesterday where it climbed to a record 35.4 C in Swan River – the hotspot in Canada. 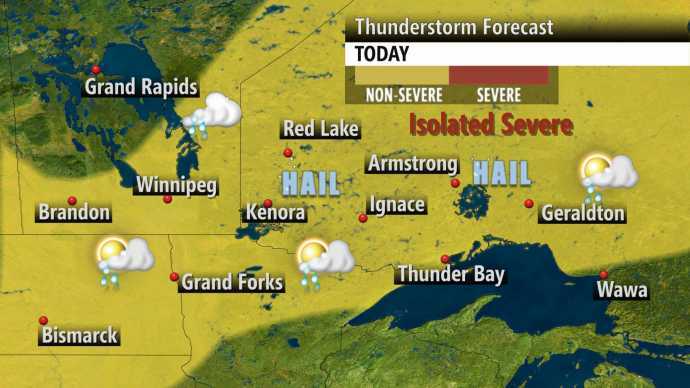 Winnipeg was toasty at a record 33.3 C and even Thompson in the province’s far north was very warm at 30.2 C.
But the heat was short-lived when severe thunderstorms rolled across the province and into Ontario. Temperatures ranged from the high 20’s in Northern Ontario to the low 20’s in Southern Ontario. Hot, humid weather made a comeback in Southern Ontario yesterday with humidex values soaring near 45 in some areas. Environment Canada reported new heat records were set at Toronto Buttonville Airport hitting 35.0°C, Windsor at 34.6°C and Collingwood at 33.7°C. The hotspot was Sarnia at an unseasonable 35.9°C (almost 97°F). Some of that heat filtered into New Brunswick today – St. Stephen climbed to 28.5°C with a humidex of 37 and even Moncton reached 23°C with a humidex of 31. The warmest weather so far in 2013 has enveloped New Brunswick. Due to the heat, Environment Canada has issued a special weather statement for the province warning of high humidex values reaching or exceeding 40 in some areas. In Greater Moncton yesterday, a new record of 31.6°C was set breaking the old one of 31.4°C from 1983. The hotspot yesterday in New Brunswick was Kouchibouguac at 33.2°C which was also a new record and today it was also a record-setting 33.8°C. Today, Greater Moncton has broken another record at 32.7°C beating the 1983 record of 30.6°C and the humidex reached a scorching 41.